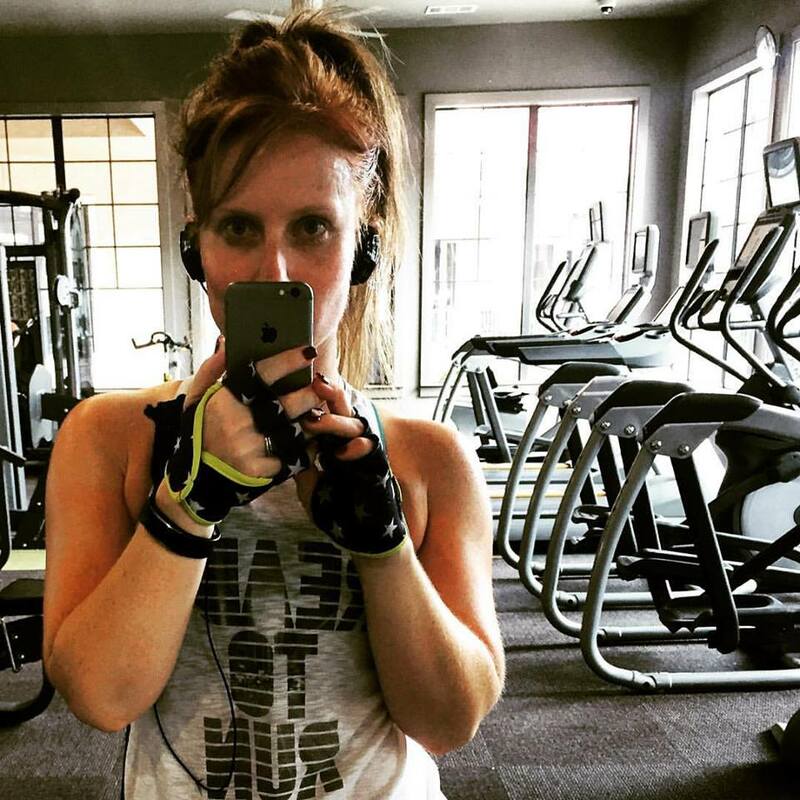 Fat City Fit: Body Image...or fat acceptance? Previously I talked about how difficult I am on myself with regards to my body image. And I am going to constantly continue to find way to be kinder to myself, and share those ideas here. I am also going to continue asking for tips, suggestions and stories from others dealing with these same issues. But the whole body image thing got me thinking about what a fine line this whole concept is. We need to love ourselves and be kind to ourselves. But what happens when loving yourself means ignoring your health? What do I mean you ask? Well more and more I hear talk of fat acceptance and how being intolerant of fat people is the last acceptable prejudice (although I'm sure some cultures, religions and sexual orientations would feel like they are definitely still on the acceptable prejudice list!). I do not for one second believe in discriminating based on someones weight (too fat or too skinny) and I certainly don't think you can criticize or shame someone into changing their eating and exercise habits. But I do think we're walking a dangerously fine line between accepting people at all weights and ignoring the health issues associated with being massively overweight. I am not talking about those with 5-50lbs to lose. I am talking about severe, morbid obesity. The fact is that being massively obese increases your risks of just about every disease out there. It taxes the health care system. Studies show that obesity and increased sick days are linked. The list goes on and on. Something as simple as 5 extra pounds of body weight is the equivalent to 50 extra pounds on your knees - I don't care who you are, your knees ain't happy if they're carrying around 100s of extra pounds! So how do we balance the need to love ourselves and those around us with the reality that being super overweight isn't healthy? 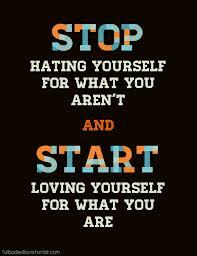 Well I for one believe that we can't change or help ourselves until we already love ourselves. Waiting until we are at some perfect weight before we are kind to our bodies and our minds is useless because we aren't likely to like ourselves enough to get to that healthy weight. It's hard to take care of something you hate! Think of it this way, if you have a sweater that you hate every time you put it on, are you going to treasure it? Are you going to fold it nicely and keep it where you can see it? Are you going to be excited to go out in it and show it off? You're probably going to get rid of it in favor of the sweaters you really like. Well you can't get rid of your body (seriously, don't even try! ), but you can get rid of the excess parts you aren't crazy about in protection of the parts you really like. You can lose weight, you can get healthy, you can eat better. You may have to ask for help from friends, family and even doctors. You may have to drastically change your lifestyle. You FOR SURE have to love yourself enough first before you can possibly care for yourself enough to make lasting changes. But you can do this. So do we criticize or shame overweight people? Of course not! We should treat everyone kindly. But I no longer believe we should turn a blind eye to obesity. We shouldn't be so afraid to say "how can I help?" When I started losing weight, all I could think was why the heck didn't my friends or family say "hey, Julia, ummm you've gained a little!" Of course only the truest friends can say this without it being awful but ignoring huge weight gains isn't helping anyone either. Ignoring it as a country and as a culture has only gotten us further and further into an extreme obesity epidemic. In my other job as a flight attendant, we recently had a discussion about over wing window exit rows and who should be allowed to sit there. I agreed that if you need a seat belt extension, you shouldn't be allowed to sit there. I don't say that as a fat hater or anything - I say that from a safety perceptive. We literally have some guests so large that they would not fit through the emergency windows. I think saying bigger than the seat belt is too big for that row is a safe, considerate way of fairly applying a rule that looks at extreme fatness as a disability. We're afraid to say that in this world. We have more fat than ever and we're more afraid than ever to call a spade a spade. So where is that fine line between discrimination/cruelty and facing reality? 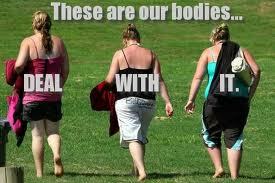 Yes, all bodies are beautiful...but no, not all bodies are healthy. How do you believe we should approach obesity? Should insurance premiums rise with obesity? Would you ever call someone out for weight gain? Would you want close friends to call you out? Hmmm... this is a tough one for me! I would not want close friends to call me out if I gained weight. Come on, it's not like I don't notice my own weight and if I gain, I probably feel ashamed about it. If they were concerned about me, I would rather them take the approach of suggesting healthy activities when we hang out, like going for a hike. If we go out to eat and they're concerned about my health, it would be nice for them to say something like "let's not order an appetizer or dessert, I'll find it too tempting if it's on the table." Even if I'M the one that they're concerned about, it would be nice if THEY said something like that to be supportive of me! Those are the kinds of strategies I would follow if I noticed one of my own friends gaining a lot of weight too. I wouldn't address the issue directly unless they brought it up. I just think it's hurtful and rude, and it's only pointing out the obvious. I think it's possible to be kind to yourself and also want to change something about yourself. There's nothing wrong with saying, "this is my starting point, and I am going to make healthier choices going forward to improve myself, but I'm not going to beat myself up for starting here." And about insurance premiums: I work in insurance and understand how premium prices work, and yes I think that premiums should be higher for those applying for insurance when they're already at a very unhealthy weight. Insurers give people a pretty wide range for body weight in which they will qualify for standard rates (I think for a 5'7" woman, you generally qualify for standard rates up to 230 lbs or so, all else being equal. That's pretty generous) If you apply for insurance when you're at a healthy weight and you subsequently gain a lot, that's part of the risk the insurance company took on when they offered you the insurance so no, your rates should not increase at that point. But if you're already in the unhealthy category when you apply then you are known to be a higher risk to the insurer so yes you should pay higher rates. It's a bit cold & heartless but insurance wouldn't work if it wasn't based on statistical claim rates, and they don't build any buffer into claim rates to avoid hurting someone's feelings, you know? Then we'd all be paying more for insurance. Sorry for such an epic long response!